The riverfront along Route 8 in Fort Thomas. FTM file. 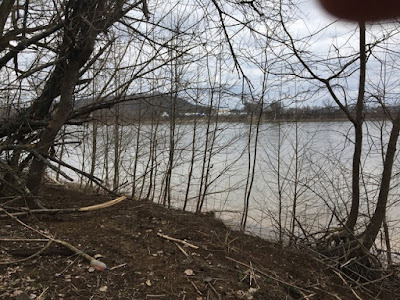 A new walking and hiking trail could replace an underutilized patch of city-owned property along the riverfront if all goes well. The city of Fort Thomas agreed to back a request for a state Recreational Trails Program grant to turn what is currently a half-acre eyesore along Kentucky 8 into a natural looped trail. 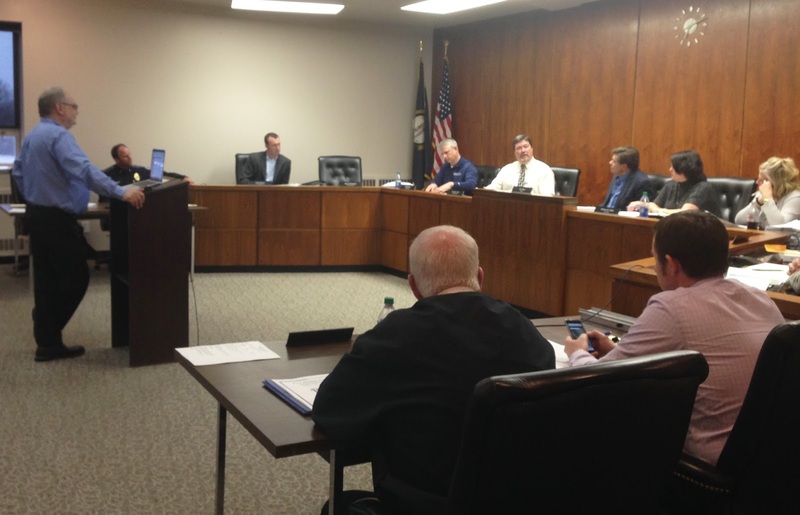 Robert Yoder presented on a proposal to apply for the grant at the March City Council meeting. The Main Street director for Dayton, Kentucky, he is also a trails grant expert for Southbank Partners and is working on three similar grant requests for trails in Northern Kentucky. The grant presents an excellent opportunity at this time, said Yoder, because the funding split has moved from a 50-50 to a more affordable 80-20 split. He estimates the entire project could run about $62,000, but the city’s share would be about $12,500. That amount could go down, he added, if volunteers helped with cleanup of the site. The property is owned by the city and had been used for storage and staging in the past, but has been lying unused for several years. When Yoder surveyed the area, he saw potential under layers of discarded litter and underbrush. The site has three levels, he says. The bottom is river beach with a flat middle level and a higher level going up to the highway. There is room for a kayak or canoe launch and for 5,800-feet of natural looped trail on the property. The $62,000 estimated cost covers trail construction including bringing in some gravel and clay, cleaning up garbage, clearing dead brush and installing trail markers, signage, info kiosks, benches and four or five trash cans. Because the area is prone to flooding in some spots, structures would be minimal and trash cans would be placed in higher elevation areas. Comments and questions from the audience present at the council meeting were mostly positive and included ideas for tree markers and other educational signage. Due to the upcoming grant deadline of March 31, City Council voted to allow Mayor Eric Haas to make a resolution supporting the grant application. Robert Yoder addresses Fort Thomas City Council on March 20. FTM file.